A great first camp experience for those entering grades 1-3. A shortened week allows four busy days of general camp activities geared towards a young age group. Enrollment is limited in order to keep living groups small and allow for extra individual attention. Activities: arts and crafts, singing, Bible study, games, swimming. A week-long experience offered for the more mature 2nd and 3rd graders who are ready for a full camp week. Activities: arts and crafts, singing, Bible study, games, swimming and boating. A lively week packed with activities for upper elementary youth entering grades 4-6: hiking, swimming, arts and crafts, Bible study, singing, campfire programs, small group and all camp games. A week geared for young teens entering grades 7-9, involving more advanced activities and more individual choice than for younger campers. Activities included: Bible study, canoe/hiking trips, swimming, a cookout/campout, campfire programs, and special evening activities. A program for "learning-abled" kids who are lagging behind their peers in reading skills and "just aren't getting it." Reading camp provides a fun and innovative atmosphere where one professional teacher (assisted by a high school or college-aged "cadet") works with three students. For three hours each morning, students rotate through 6 different Reading Centers where one particular reading skill is practiced. 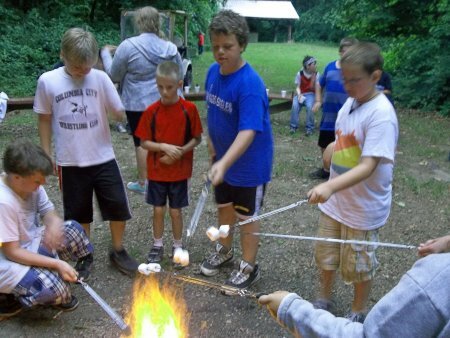 Reading Camp is not an educational "boot camp" but true Lake Luther camp experience with swimming, boating, hiking, arts and crafts, games, music, campfire programs and a chance to make new friends. Reading Camp is a free week for those who have completed 2nd grade, are entering grades 3-4-5-6, and who come recommended by their teachers. A special week offered at Lutheran Hills. Performing Arts Camp is for youth who love singing and performing. Campers spend 4-5 hours each day working on a high energy Christian musical. A final choreographed production is presented to parents and family members on Friday afternoon at 2:00 pm. A week that combines 2 hours of study with your pastor and confirmation class each morning, followed by a full day of great camp activities: hiking, arts and crafts, games, music, swimming, canoeing, kayaking, and campfire programs. Confirmation campers register as a group, coordinated by your local congregation. Check with your pastor for details. A week-long adventure based at Lutheran Hills that involves 2 days of hiking on the Tecumseh Trail, followed by 2 days of caving in southern Indiana. Participants should bring a backpack. This program is not designed as a serious athletic challenge. The focus is fun! A four-day camp week (from 3:00 pm Sunday afternoon to late morning Weds) for younger campers (Pilgrim Camp, grades 1-3) where parents/grandparents are welcome to stay at camp. Our college-aged staff run the program. Parents/grandparents can be a background presence with no responsibilities, just a chance to be near their children/grandchildren and attend meals and campfire programs with them. Grandparents stay in comfortable adult housing at the high-comfort, newly constructed Bear Creek Village retreat campus. A Sunday afternoon through Friday afternoon camp week that includes familiar camp activities with a "servant" theme. 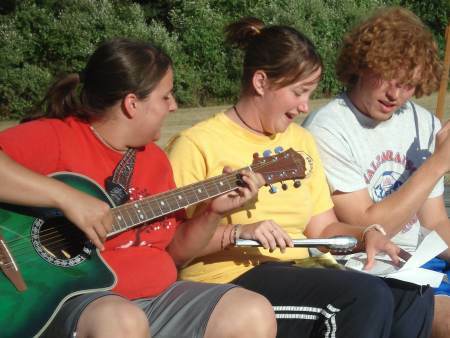 High school campers will assist with a variety of service projects on camp property. Participants must be entering grades 10-12.